A Los Angeles native and now based in Atlanta, Dain is the President & Founder of The Syverson Group, LLC (TSG). He serves as the primary search executive engaging with clients in the Diagnostics, Medical Device, Medical Products, Biotechnology, Life Sciences, Pharmaceutical, Dental and Medical Distribution sectors. Dain’s clients include Fortune 500, high growth mid-cap, privately held, private equity group and venture capital-backed firms with focus on Board members; C level; Divisional President and General Management; Vice President and Director Level responsibilities. Dain’s unique combination of recent business and relevant market experience, key relationships within the industry, ability to assess and attract interest of top executive talent and negotiate mutually acceptable terms & conditions for TSG clients and candidates is unrivaled in the talent acquisition industry. Prior to founding TSG, Dain served as an Executive Vice President & Partner for over 10 years at a start up search firm where he served as an Officer of the company, led the organization into numerous new verticals, was personally consistently ranked in the Top 1% nationally, built a successful Retained Search offering and developed a reputation in the talent acquisition market for high integrity & authenticity, transparency, tireless work ethic and exceptional performance. 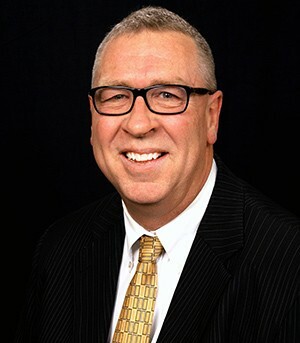 Prior to his talent acquisition start up experience, Dain’s corporate background consisted of over 13 years with Abbott Labs, Diagnostics Division inclusive of executive level responsibilities in General Management, Global & Tactical Marketing, Corporate Accounts, Sales & Sales Management and International Operations. During Dain’s corporate career, he was promoted to increased scopes of responsibility ten (10) times and relocated on seven (7) occasions throughout the U.S. and Europe. Prior to his medical career, Dain attended Oregon State University on a baseball scholarship, was drafted out of college and played professional baseball in the Cleveland Indians organization retiring after sustaining an injury in AAA Buffalo, NY. Dain holds a B.S. degree in Business Administration & Finance from Oregon State University and has taken advanced courses at Northwestern University’s Kellogg Graduate School of Management and Lake Forest Graduate School of Management. Dain is active in coaching youth sports, various local ministries & charities and an avid outdoorsman and fitness participant. Dain has two daughters and resides in a northern suburb of Atlanta, Georgia. Before making a very successful transition into Talent Acquisition, Tim enjoyed a 34-year career in Information Technology and held Executive and Managerial positions with organizations including Andersen Consulting, Oracle, Amdahl, Cambridge Technology Partners, Control Data and Knowledgeware. In those capacities Tim hired and managed hundreds of technology professionals at all levels, which helped pave the way for his successful talent acquisition career which has spanned multiple markets with consistent performance excellence. Since 2002, Tim has placed technology professionals at all levels including CIO and President, Technology. An ardent Atlanta Braves fan, Tim is also a movie and music aficionado, a published poet, an accomplished writer, a voice over artist and writes music and lyrics. He enjoys travel, and prefers warm weather destinations. Originally from Ohio – and proud of his Midwestern roots – Tim has also lived in Michigan, Illinois, California and Florida. An Atlanta native, born and raised in Georgia, Gabrielle rejoins The Syverson Group, LLC (TSG) as a Principal after being a key member of the TSG organization from 2012 – 2014 as a Sourcing Manager. Prior to rejoining TSG, Gabrielle invested the last 4+ years in the IT Contract Staffing industry as a National Account Executive with Futurewave Systems where she managed key clients and delivered exemplary results. Gabrielle’s experience has included roles in Talent Acquisition Business Development and Account Management where she engaged with key clients, successfully completed engagements and maintained strong relationships with her clients and candidates. 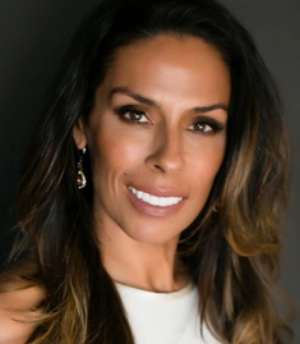 Gabrielle’s business acumen and strong attributes have allowed her to exceed expectations on a consistent basis with numerous Fortune 500 clients including, but not limited to; AT&T, ADP, Assurant, Genuine Parts Company, Synovus Bank and Teavana-Starbucks. Gabrielle’s developed a strong reputation in the market as being a highly competent, creditable, positive person with an intense work ethic, high attention-to-detail, exemplary determination and strong interpersonal skills. These are but a few characteristics she received high regard for on numerous client and candidate performance and feedback sessions. In addition to her Bachelor’s Degree in Biochemistry, Gabrielle continues to further her education through hands-on experiences to effectively improve her professional performance. Gabrielle is the proud mother of two (2) children; actively involved in fitness related activities as well as several local ministries and charity associations. A Louisiana native and resident of Atlanta, Stacy joined The Syverson Group, LLC (TSG) in 2017 as an Sourcing Manager working collaboratively with TSG clients, candidates, and partners. Prior to joining TSG, Stacy worked as a software engineer for a Fortune 500 Software company. Her background was primarily in Software Design and Implementation, Sales, Employee Training and Human Resources. She has been very successful in engaging with major clients in the industry and maintaining an impeccable reputation for transparency, results orientation and an extremely strong work ethic. Stacy has developed a strong reputation in the executive search market as being a highly competent, creditable, positive person with an intense work ethic, high attention-to-detail, exemplary determination and strong interpersonal skills. These are but a few characteristics she received high regard for on numerous client and candidate performance and feedback sessions. Stacy studied for three years on scholarship at the Joffrey Ballet in New York City as a ballet and contemporary dancer. Stacy is a graduate of Louisiana State University and completed a double major in Sports Medicine and Business Administration. She was a four year athletic scholarship recipient as a collegiate swimmer. After graduating from LSU, Stacy travelled nationally as a principal dancer for First City Dance Theatre. Stacy is an avid runner, fitness participant and sports enthusiast. With her time outside of work, she enjoys travelling and taking care of her three children. Bill is a proven 30 year global business leader with particular success in hiring, developing, coaching and mentoring employees. Bill was raised in Argentina, Egypt, India, Greece, Mexico, US and has had career assignments in Europe and Latin America. 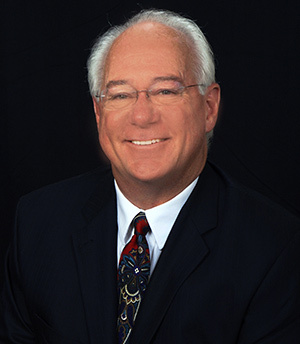 Bill is a Managing Director at The Syverson Group, LLC (TSG). Bill services global clients headquartered in North America and Europe by leveraging his broad international experience to collaborate in aligning business with talent. He serves as the primary search executive engaging with clients in the Diagnostics, Medical Device, Medical Products, Biotechnology, Life Sciences, Pharmaceutical, Dental and Medical Distribution sectors. 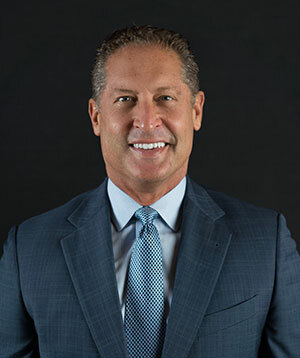 Bill’s clients include Fortune 500, high growth mid-cap, privately held, private equity group and venture capital-backed firms with focus on General Management; Vice President and Director Level responsibilities. In 21 years of progressive career experience at Abbott Diagnostics, Bill spent 10+ years at the Director and GM levels running Latin America & Canada Commercial Operations, Business Development in EMEA, and Global Sales Force Effectiveness for the Division. At Thermo Fisher Scientific, Bill held executive positions of VP Global Marketing and VP Commercial Operations, Americas. Bill brings proven skills for driving change management, optimizing organizational structure, achieving commercial excellence, and recruiting and retaining high performance teams. Bill puts the utmost importance on trust, integrity, and confidentiality in identifying and placing the highest caliber candidates for his clients. Bill graduated from William and Mary with a BA in International Relations, and holds an MBA from Thunderbird School of International Management. He is fluent in English and Spanish. Bill’s interests include residential real estate (holds a GA license), cycling, tennis, and maintaining a single digit golf handicap. Bill resides in Atlanta and enjoys family time with his wife and daughter, who has a blossoming career in social media marketing at Coca-Cola. Bill takes great care and pride in serving to build high value companies one talent at a time. Originally from South Africa and now based in Tucson, AZ, Wayne is a Managing Director at The Syverson Group, LLC (TSG). He serves as the primary search executive engaging with clients in the Diagnostics, Medical Device, Medical Products, Biotechnology, Life Sciences, Pharmaceutical, Dental and Medical Distribution sectors. 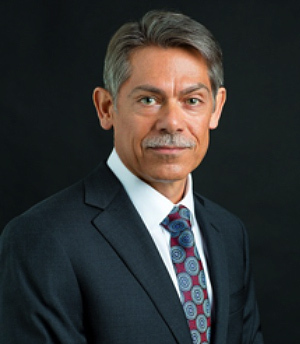 Wayne’s clients include Fortune 500, high growth mid-cap, privately held, private equity group and venture capital-backed firms with focus on Board members; C level; Divisional President and General Management; Vice President and Director Level responsibilities. A dynamic and proven business leader with over 25 years of progressive career experience in the healthcare, diagnostics and medical device industry. Wayne has a keen understanding of technical aspects of the products along with the human drivers that effect long-term customer relationships and adoption of new technologies/procedures on a global basis. Wayne has the proven ability to turn around underperforming teams in global markets through hiring, developing, motivating and retaining top performing teams as well as collaboration, reorganization, change management, mentorship and adaptability. He thrives on building high performing teams in fast-paced environments and is driven to serve the customer and the ultimate end user – patients – and make a difference in their daily lives through quality products and services. Wayne started his career as a Medical Technologist (Biochemistry) working for the South African Institute for Medical Research. He later joined Abbott Diagnostics Division where he spent 17 years inclusive of executive level responsibilities as Regional Director (Australia & New Zealand), General Management (Australia & South Africa), Regional & Tactical Marketing (EMEA) and Sales & Sales Management (South Africa). Thereafter, he joined Ventana Medical Systems, Inc. (a member of the Roche Group) where he spent over 9 years in various Vice President roles including Corporate Marketing, International Commercialization (EMEA, LATAM, APAC & Japan), North American Sales and International Operations (EMEA, APAC & Japan). Wayne holds a National Diploma in Medical Technology (Biochemistry) from Witwatersrand Technikon and a Business Management Diploma from Damelin College and various other advanced courses. Outside of work Wayne is an avid martial artist, photographer and fly fisherman. Wayne and his family reside in Tucson, Arizona. Originally from Dyersville, Iowa (Field of Dreams movie site), Bruce earned his bachelor’s degree in Business Administration from the University of Dubuque. Bruce, his wife Traci, and their daughters relocated to the Atlanta metro area in 1997. 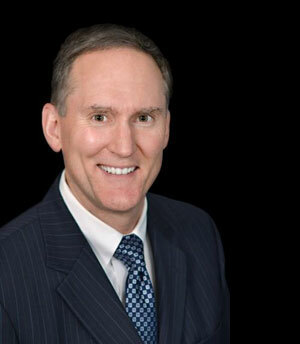 Bruce Osterhaus has been a highly valued HR/Talent Acquisition business partner, and is an Executive Recruiter at The Syverson Group, joining TSG in January, 2014. Bruce has more than 25 years of Recruiting and Human Resources experience with Molnlycke Health Care, and The Ertl Company, Incorporated. Bruce has recruited and hired hundreds of Employees in all Corporate functions and levels. His diverse sourcing techniques partnered with his exemplary interviewing and interpersonal skills allow him to gain keen insights on Candidates ensuring a mutually beneficial employment relationship. His highly successful efforts earned him significant recognition of an Award Trip to Puerto Rico, and Presidents Club induction. Bruce is also certified by the HR Certification Institute as a Senior Professional in Human Resources (SPHR). Bruce is an avid fan of both the Iowa Hawkeyes and Dallas Cowboys, and enjoys fishing and socializing with friends. An Atlanta resident since 2008, Janka joined The Syverson Group, LLC (TSG) in 2012 as a Principal and brings extensive experience and performance excellence across a broad spectrum of markets on a global basis. Janka has over 15 years of recruiting experience in staffing and corporate environments. Her talent acquisition experience has been focused on sourcing, screening and recruiting top talent across all lines of business and functional areas. She has successfully placed candidates in a variety of industries. Throughout Janka’s talent acquisition career, she has consistently exceeded her performance objectives for leading companies including First Data Corporation, SAP, and Accenture. She has developed creative and innovative talent acquisition strategies and effectively implemented them to deliver ‘best in class’ candidate talent to her clients. While working for First Data as an HR Specialist, Janka was involved in ‘Performance First’ for Central Europe. The project was focused on changing evaluation criteria and determination of accurate, consistent & differentiable performance ratings for employees. She also organized career events for IT graduate students. She has an extensive background in handling and resolving Human Resource issues. 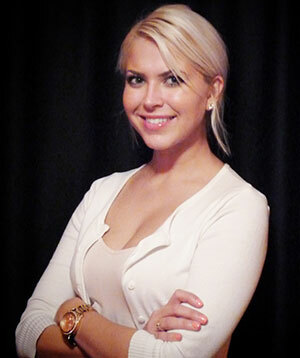 Janka’s passion for constant improvement brought her to the US from Slovakia in 2008. This new challenge validated her personal adaptability, resilience, work ethic, ability to learn new markets & cultures quickly as well as heighten her professional expertise. She obtained Human Resource Professional Certification in 2009, and joined an Atlanta based IT Recruitment & Consulting firm that specializes in contract, contract-to-hire and direct hire in 2010. While at this firm, Janka was intimately involved in the success of their business through her identification, qualification and representation of top IT talent which helped the company triple their placement rates within a two year period. Janka brings to TSG clients and prospective candidates a vibrant, selfless personality, high energy, a genuine passion for excellence, unrivalled personal accountability and an incredible work ethic that is valued and appreciated by all that interact with and get to know her. In addition to Janka’s Master’s degree of Social Sciences, she has received extensive training, and advanced education to enhance her professional and personal development. Alysa was born in Chicago and currently resides in a northern suburb of Atlanta. Alysa joined The Syverson Group, LLC (TSG) in 2017 as TSG’s Head of Marketing & Administration. In this capacity, Alysa will be responsible for identifying, developing, executing and measuring marketing programs and investments to better serve TSG’s clients and prospective candidates as well as assist with administrative requirements on an as needed basis. Prior to TSG, Alysa was employed by Modern Luxury with roles in classical, branding & digital marketing, social media, event planning, sales, business development, account management and finance. Alysa successfully engaged with diverse clients in healthcare, fashion, automotive, financial services, hospitality and other fortune 500 companies building and maintaining strong relationships based on trust, authenticity and respect as well as earned a reputation as a dedicated, high integrity, results oriented individual with an exceptional work ethic. Alysa received her Bachelor’s Degree in Fashion Retailing and Business from the University of Alabama (Roll Tide Roll); enjoys fitness & outdoor activities; has built and operates her own successful custom jewelry on-line boutique (AlyAnn Boutique); is actively involved in her church and other charitable activities as well as spending time with her family, friends and ‘Little Bear’ (black lab).